Hello Korean lovers!! Do you want to learn Korean with a CERTIFIED and EXPERIENCED Korean teacher? I have been teaching for 30 YEARS including K-8 and COLLEGE as well as private tutoring in Korea, China and India. I am a student-centered, patient and dedicated teacher with teaching certificates from the Ministry of Education in Korea. My students have always been happy with my teaching because I always focus on students’ interests in what they are learning. I graduated from the graduate school of Seoul National University, the best university in Korea. Please check my profile and judge whether I can be your Korean teacher. I know everything Korean!! Let me share it with you! Youngju delivers an exceptional lesson experience and ranks in the top 15% of our teachers nationwide. I know how to teach you the Korean language EFFECTIVELY and QUICKLY. I’m a CERTIFIED teacher with 30 YEARS EXPERIENCE, from elementary school to college. I have had many international teaching experiences and live with a multilingual family. I also completed the Program for Training Korean Language Instructors for Foreigners. This means I am aware of what the most difficult problems are when students learn Korean and I can provide the most simple and effective ways to acquire the language quickly. I am confident that I can teach you authentic Korean at ANY LEVEL. I finished my academic history as far as the phd (I never finished my dissertation, alas). I received my Masters degree and completed all of my post graduate work at Seoul National University, which a point of particular pride with me; after all, Seoul National University is the Harvard of Korea. I have a number of published works in my academic association's annual journal. And I have a Certification in Reading and Essay Instruction. I also know KOREAN VALUES and CULTURE inside and out. I was born in Korea and spent most time of my life there in a traditional family. I have a deep understanding of Korea and its history and life style which I could share with you. If you want to learn how to cook Korean food such as kimchi, seaweed rolls(sushi) or jabchea(noodles), of course, I can teach you! I’m a housewife, too!! I can give you ADVICE about getting GOOD JOBS in Korea. I am a certified and experienced teacher who can help you with your ambitions and needs with Korean. Let’s have fun while improving your Korean Language ability on Skype, at my home, or at your place at your convenience! I’m totally ready to work with you. Let's get together!! See you then!! I would like to post answers to questions that my prospective students usually put to me about my Korean lessons. Q: Are you good with VISUAL LEARNERS and VERBAL LEARNERS ? A: Yes, I'm good at that. I'm a trained teacher of Korean with more than 30 years experience. I would like to say my teaching style varies depending on the learner's condition: age, learning style,present level in Korean, purpose of getting lesson, etc. What I usually do is use visual materials, songs and even physical gestures for children, since they have not fully developed their logical reasoning and use of abstractions. 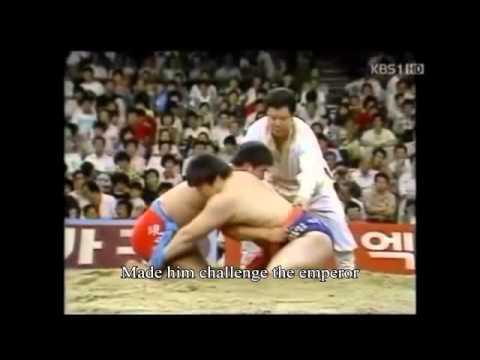 I also introduce online Korean practice programs. I also use these with adult learners who are totally beginners. Generally speaking, visual, audio and TPR approaches are more effective for beginners. I give learners lots of chances to express what they are learning. I always link their Korean knowledge between what they learned and what they are learning. I give homework as much as they can handle, too. Regarding writing, we can share simple words or sentences on the Skype and the more you are advanced the more things we can do. One of my advanced learners is writing a diary and proofreads with me when we start every class. Q: WHERE DO YOUR LESSONS START AT? Do they start with learning how to put the vowels and consonants together or just starting off with words you need to know? A: Again, mine are individualized lessons. One of my students wants to just learn how to communicate verbally in Korean. It means he doesn’t care about written Korean. If the learner already knows the Korean alphabet and knows how Korean syllables are structured then I don’t need to repeat it. I don’t prolong the process or time without reason. Other than that, I start from vowels and consonants and how to combine them, and how to make sounds, and read, etc. Q: Do you teach how to properly READ KOREAN? A; I teach learners how to read Korean and let them read it and correct their mistakes. My pronunciation is very clear. Prior to my more than 20 years teaching history, I had worked for a Korean public TV station, KBS, as a reporter. Q: Do you teach FORMAL and INFORMAL KOREAN because I know there is a difference between them. A: Yes, I teach formal and informal Korean both, in addition to the Korean basic sentence structure. Of course, if you want to learn specific form only then I can do it for you. As I said, it’s all up to you. Q: How do I PAY for the lessons? Q: WHERE the lessons occur? A: My lessons have four possible venues. 1. At your place (presently not available): To know my travel area, pleace check "Select a location" on the top right of this my profile page( https://takelessons.com/profile/youngju-s1?online) in the box. 2. At teacher's place(presently not available): If you live in Baltimore and can come to my place then you can take face-to-face lessons. That is a choice too. 3. Online: Online lessons are conducted through live 1-on-1 video chats using my personal meeting room. 4. Online TakeLessons Classroom: I also teach online group classes. Q: When the lessons are AVAILABLE? A: You can find my availability at "View availability" on the top right of this profile page( https://takelessons.com/profile/youngju-s1?online) in the box. Once a schedule is set, the classes occur according to it. You can reschedule whenever you need to, just for a short time or longer as long as both sides are available. Q: Is there some way we can schedule a "TRIAL" session with you? I hope that I gave you the answers what you are looking for. If you have more questions then never hesitate to ask. I welcome questions from learners!! Kodaikanal International School is an IB School. I taught Visual Arts and Language B Korean in the MYP(6-8) and PYP(K-5) programs for three years. I was a reporter for a weekly arts and culture program. The Korean Federation of Teachers&#039; Associations (KFTA) was originally established on November 23rd, 1947 as the Chosun Education Association. As the largest and most traditional professional organization the KFTA has contributed to accomplish quality public education and teacher&#039;s professionalism. The KFTA has 17 metropolitan and provincial federations of teachers&#039; associations, and 26 functional and affiliated organizations that present a united Korean educational focus on the following activities. The Institute is painting , sculpture , design , craft , calligraphy , photograph , cartoon animation , materials , colors , infants and children art , aesthetics , pure academic community of the largest that aims to art historians, academic study of the overall formative education. This Association, which has one of the nation&amp;#039;s oldest art education associations in existence is founded in 1986 and is registered to the Korea Research Coalition members in the Ministry and the Korea Research Foundation . Online group class: We have lots of fun and interaction to learn Korean effectively. My beginner student is practicing double consonants. My student and I had fun doing a Korean vocabulary quiz. With my 8th grade students. I taught them Language B Korean in the MYP(Middle Year Program, 6-10) for three years. They were my loving 8th graders. We had a pic taken to celebrate and remember our contribution as a Deco team to the MYP Formal, 2011. My young artists, third graders were proud of their awesome bird eggs and the nest in my art class. Recommendation from My Previous School Principal in India You can find the same information in the "Reviews". I interpreted a Children's Art Education Book in Korean and published it with my colleagues. Visiting English Class that organized by Sejong City Office of Education in Korea, 2013(I'm on the right in this picture). My students were visiting my home. This is a great video but he mixed up Yin and Yang. The error occurs here: from 4:37 to 4:50. One of my proud students, She visited me for Teacher's Day. I am very happy to be her one of the most memorable teachers as she said. My students were hesitating to put mud and organic powder on their faces. So, I demonstrated to them and they were eager to do it first. I taught Visual Arts and Language B Korean in the MYP and PYP programs for three years. It's me in Indian Sari. My students are ready to start to draw cave art with berries and charcoal. I was the Deco team leader of the MYP international banquet. I visited an Indian orphanage. We had a good time. One of my students is decorating his playground in my art class. My students got a silver prize from the city level English speaking competition. My school was very small with only 8 fifth grade students. With my assistant teacher. We went on a temple stay together in 2014. My very first assistant teacher in Korea from 2007. The time has really flown by! She visited me when she left Korea. My young artists were proud of their awesome bird eggs and the nest. I just completed my 5th lesson and I highly recommend Youngju. She is extremely knowledgeable and VERY patient. I was nervous to start learning Korean but Youngju immediately allayed my fear and it has been a pleasure to work with her. We start the lesson with a brief greeting, then review past material before moving on to a new lesson. The hour is intense, but she will tailor the lesson to your comfort level; it goes without saying that preparation is key. 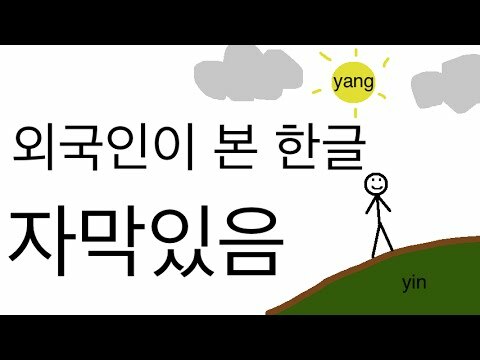 If you are serious about learning Korean, use Youngju. I'm half-way through the (10) lessons I had signed up for, and I'm enjoying her teaching style. She is both structured and flexible, meaning that we are following a specific set of learning materials, but I can ask all kinds of questions and get additional information to take advantage of what I've learned already. In the past I had started out with a local community college class, and that person had no clue on how to facilitate learning. I'm enjoying the sessions, though my brain is exhausted when we get to the end of our hour. I had a great time studying with Youngju. She is very nice and she knows how to explain grammar. I really enjoy our lessons. I have been with Youngju 씨 for a few weeks and it has been a great experience! I've learned a lot and appreciate the tailored lessons. The homework is spot on and the structure of the classes on-line are very organized and simple to follow. 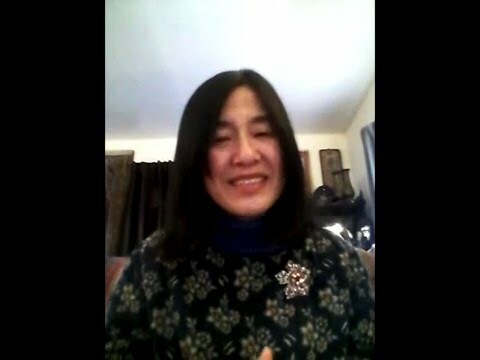 Youngju 씨 is very encouraging and explains words, concepts, and cultural factors in an easy-to-digest manner. Also Youngju 씨 challenges you to think and put learned material together so it's reinforced in your mind. If you're looking to learn Korean, no matter what level, I'd definitely recommend Youngju 씨! Youngju is not only an excellent teacher but also a wonderful woman. I am often exhausted when I come home from work for my lessons with Youngju, but she is so kind, encouraging, and enthusiastic that she instantly puts a smile on my face! Youngju tailors her lessons to each student's needs; I told her that I hoped to improve my speaking skills, and she has been awesome (and patient!) about helping me practice my speaking during our lessons. She has a great sense of humor and a wealth of knowledge about Korean history and culture that make learning Korean fun. Youngju genuinely cares about her students' progress: she is accessible and super responsive if you have any questions outside of your lesson time, and she records each lesson so that you can review it on your own time, and so you can be engaged during your lesson and not have to worry about taking notes. I feel so lucky to have found Youngju, and I cannot recommend her highly enough! Yongju is the best teacher I've had in language. I originally tried to teach myself Korean but learning to conjugate on my own was very difficult. I told Yongju I wanted to focus on conversational Korean and she has been amazing. She's incredibly accommodating when it comes to lesson times and last minute rescheduling and she records all my lessons so I can review and study in my own time. Going on 4 months of lessons and I feel like I can be close to fluent by the time the year ends! Thank you Yongju! I enjoy learning with professor Young. She makes it fun and is very patient. She makes you feel the enjoyment of the class and make you want to come back to learn more. I would give a lot of pluses if I could. She deserves a teachers award! I felt very comfortable with Youngju when we spoke on the phone and when we met online for our first lesson I felt confident that she was the right teacher for me. She’s engaging and warm and I felt so at ease with her. I was not afraid to make a mistake. She was also very supportive and encouraging. I look forward to future lessons with her! I could have not chosen a better instructor. Youngju is very patient and teaches at my pace. My main goal is to communicate with my in laws in their native language and week by week Youngju helps me get one step closer. I highly recommend taking classes with Youngju! Youngju is a great teacher! She is really attentive and perfectly tailors the lessons to fit my specific needs. She also pushes me to speak more; which is one of the hardest aspects of language learning. I couldn't recommend her more! She has an amazing approach to teaching and helps you to feel confident in your understanding. She is very patient. Youngju is very gifted in teaching. I’m about intermediate level in Korean and wasn’t really sure how the lessons would be, but my eyes were opened to the world of Korean language! A skillful teacher like Youngju, passionate about Korean and teaching, will help you achieve any of your Korean speaking, writing, and reading goals. Youngju has been a wonderful instructor to me and my wife. We've been taking lessons with her for about 6 months now and are very pleased with the results. Every lesson has structure, but she is willing to deviate to help us with specific questions and needs. We have learned so much from her about Korean culture, food, customs, etc that we would not have learned otherwise. We appreciate her so much! I think back on my Korean lessons with Youngju and I am reminded about how easy and helpful the time was. I married a Korean man and though I had a pretty good grasp of Korean, I wanted it to be more polished and authentic. Youngju is a genuine Korean teacher, who knows everything about the language and culture. Our lessons were intensive, as this is what I wanted. It was like a ping pong game of language and text where I would speak and she would write what I said and speak and text back on our shared screen; and this would be the way things went forward. During the whole lesson, everything was videotaped, and sent back to me for my review and study for the next lesson. I have the videos even now and I bring them with me to study. Also, she never forgot to send out worksheets in advance to the new unit so I could do my homework. And writing a weekly diary was very helpful. She encouraged me to use the expressions from our lessons in my diary writing, and I would send my diary to her. She would then correct my Korean and we would review together. There are too many things to say on this. I am now very comfortable with my Korean in laws and acquaintances and I owe this to Youngju. I am really enjoying life in Korea now! I am writing again because my review does not show the picture I attached. The picture shows a message I sent to my husband in Korean. That was a sweet communication between husband and wife. I'm thrilled that I can communicate now with nuance and feeling. Thank you so much for being a wonderful teacher!! My husband was very happy. Thank you for teaching me, Ms. Youngju! You are the best teacher!!!! My Korean truly improved. This is the second review I write for this class. This time after almost a year after taking regular classes. The classes are dynamic, entertaining and well-structured. Yet, they are also flexible to the student's needs. In addition to this, I had the chance to go to Seoul for a few days a couple of weeks ago. Before going, Youngju gave me lots of good recommendations and make herself available for any questions I could have. Once in Korea, I was very happy to see I could interact with people in Korean, read everything, and understand. I was able to speak to waiters, hotel staff, shopkeepers, and when I got lost, to a young gentleman who kindly showed me the way to the metro station. All these in just one year of classes (1hr/week). This was truly an awesome experience and renewed my determination to learn Korean and keep learning with and from Youngju. Not only a great teacher and great class, also great results! I love having Youngju as my Korean teacher! She is a great teacher. I've been taking lessons from her for a few months now, after trying to learn on my own, and I definitely feel like I've improved. She explains things well and I am understanding the language a lot better than I did before. She's also quite flexible if you have to reschedule a lesson. I took a trip to Korea and she prepared for me some useful phrases the lesson before I went and it helped so much. I was able to speak in mostly Korean while I was there and it went well. I was able to do some shopping, take the subway/taxis/buses, and order food in Korean with very little problems. I'm excited to keep learning with her! If only I could give more than 5 stars. Youngju is the absolute best instructor ever, she does a great job tailoring her lessons to the student's comfort and needs, and is available to answer questions seemingly 24/7. I texted her while I was in Korea, expecting her to reply when it was morning in the states, and she answered within 10 minutes. Youngju, when do you sleep? I've tried out lessons in many subjects with many instructors on this site and have yet to find one who lives up to Youngju. I'm spoiled. Thanks so much for all your help Youngju! Youngju is very excited to help us learn! We are realizing it will take some work, but she was very willing to meet us where we were and take the time to make sure we understood what was going on. Looking forward to more! Youngju is very positive, enthusiastic and helpful. I totally enjoyed my first lesson! So sum up my rating all I can say is: My Teacher is the best! She is flexible, patient, forgiving, kind, and the list just goes on. I just wish I had time to be a better student for her. Don't become too popular, someone might bump me from my time slot :0) Thanks for all you do Youngju. Youngju is an amazing teacher!!! She is hands down the best language instructor I've ever had! The classes are always very well planned and structured. She also provides a lot of additional content beyond the textbook so it is possible to accumulate vocab quickly. She is always encouraging and patient. I feel engaged in every class; she plans many diverse activities, so I feel I am learning quickly on all aspects of the language: reading, writing, listening and speaking. She is also very flexible and willing to work with challenging schedules. I've just completed 15 lessons with her, and I cannot wait for the next class! So to give some info on me, I have two jobs and I really want to become fluent in Korean, and Youngju is one of the most patient people on this earth, because she is easy to work with on schedule and she is also a great teacher, my understanding of Korean grows from week to week. She understands where your level is at and where to start from Lesson plans come with homework and she gives you tools so that way you can work on Korean throughout the week . On top of being a good teacher she is incredibly nice and has good sense of humor. Would highly recommend. Youngju seonsengneem is excellent! She will tailor the lessons to your level and needs. She is very patient and explains the Korean language system in a simple and clear manner. First lesson so far and already the teacher has shown me how to read some words! She is very patient and kind and always smiling. Adapted to my speed of learning and took her time to make sure my pronunciation was correct which I really appreciate. Just finished my first lesson with Youngju yesterday and she was awesome! Her method of teaching is wonderful - it helped me to remember the vowels and consonants so easily that I could read simple words within the hour! I look forward to my future lessons! Great teacher. Makes learning fun! I have only been taking Korean lessons with Youngju Lee for a few months but am improving at a rapid pace. She emphasizes thinking in Korean and stretching comprehension by constructing sentences in Korean, a challenging aspect that allows me to memorize more effectively and write more fluently! We move quickly, but I am always able to clarify ideas I don’t understand or request specific vocabulary I am interested in. Last night, I ordered food at a Korean restaurant in Korean, which was daunting at first but ultimately motivating. (The waitress was both surprised and impressed, and said that my pronunciation was good!) Youngju presents so much cultural background and is such a kind individual. I look forward to having more lessons with her! We had our first lesson last Sunday and it was a great experience. Youngju is awesome!!! I think that's all I need to say. I look forward to our many lessons. Youngju is a great teacher. She is very responsible and aleays eagee to teachee. Ahe is patient and ahe apeaks aome Chinese too which helps people like me who can soeak Chineae mandarin to inprove faster. Thank you teacher. Youngju Lee is an amazing instructor. There are just not enough good things I can say about this instructor to give her full justice. She is patient, thorough, and has the ability to key into individual student strength and weakness. Her ability to change and adapt to individual learning style has been wonderful. I personally struggle with language. I been studying Korean on and off for many years, with no success. Now I feel I have finally found the instructor that can teach me this language and keep me motivated. I have always had the problem of staying motivate in my studies, however her lessons are so well done that I am engaged though out the entire lesson. When you find that special instructor keep them, cherish them, and treat them as well as you would treat your own family. Youngju is a fantastic teacher! She teaches at a very comfortable pace and makes sure you understood everything before continuing to additional topics. I recommend her to anyone looking to learn the Korean language at any level! My first lesson with Youngju was wonderful. She was very easy to talk to and had great patience with me. I'm looking forward to working with her in the future. I learned alot in my 30minutes session. I can't wait for my upcoming lessons. Youngju is very patient with newbies such as myself. She incorporates extremely useful learning material and she encourages you to learn. Youngju does a great job answering questions and adjusting her pacing to her students' needs. She's also really good at communicating, so whenever I have a question it's easy to get an answer. Youngju. has been my teacher since September. She is very patience, she give me extra time when I need it in the lesson. I am looking forward to continuing our lesson. My 14 year old daughter absolutely loves Ms. Youngju! She is so friendly and encouraging. I am very impressed with her savviness and ability to teach via the online medium. My daughter is learning more in 1/2 hr a week of Korean than she is learning in her french language class at school. I'm thrilled that my daughter is so engaged in learning a language, we feel very lucky to have found Youngju! Youngju Lee is a great teacher. In only a free lessons i have learnt a lot. She is experienced, has a great method for teaching, and creative material. She is flexible and accommodating, and adapts to the needs and pace of the student. A first class instructor. During the three months I have had Youngju as my Korean language teacher, I must say that I couldn't be more pleased. I signed up with Youngju so I could better appreciate and understand Korea and its culture during my upcoming trip there. She was so kind and warm. I was a beginner, a complete novice, and I was terrified at the prospect of speaking. Youngju knew exactly how to begin with me and made me feel at ease and able. Our lessons were just what I needed and my trip to Korea was filled with communicative possibilities with shopkeepers, hotel clerks, bus drivers, and everyone we met: it all made so much more sense and was so rewarding because of Youngju's teaching. She was flexible and made our time together joyful and the hour went all too quickly! I can't thank you enough Youngju! You made my trip to Korea a great success in the sites I saw and the people I met. You are simply the best teacher I have ever had! First class with Youngju seonsaengim was really good! We went over the first chapter of the book and I look forward to the next class. MS YOUNGJU IS THE BEST! Thank you so much for helping me finally learn Korean! How fun and interesting it is when someone really knows how to teach. Ms Youngju will guide you at your pace and teach you all you need to know about the language and culture. Soon i will marry my Korean fiancee and it was very important for her family that i learn more about their traditions. After a few weeks, im able to put sentences together and share in dinner table conversations. They are all very proud of my progress. Thank you teacher! As a true beginner, I had no clue as to where to begin in my journey of learning Korean. Youngju has been wonderful in teaching Korean. In two short lessons I was able to go from nothing to actually reading in Korean. I had an emergency pop up and she rescheduled my lesson so that I would not miss a lesson. She uses visuals so that I can understand. I only had 2 lesson with Youngju so far, but she is really good teacher and really patient with me. She is really good at answering the questions that I have asked her. Youngju is a very experienced teacher. Her teaching style is very good and I the student learned so much about pronunciation and writing. She is very kind and very patient when the student is having struggles. She also tries to converse in Korean with the student in order for the student to speak fluently. I recommend for anyone who wants to learn Korean should make Youngju your teacher ! 감사합니다! Youngju is such a wonderful teacher! She has helped me grow as I learn Korean and the way she teaches makes it very simple to learn and to remember vocabulary. I started teaching myself Korean a few months ago but really wanted the chance to interact with someone because I learn better that way and she has made me feel very comfortable and I look forward to class every week. If you're considering a Korean teacher, I highly recommend her. Not only does she teach you the language, but she also teaches me things about the culture that I did not know already. This is my first time having a Korean teacher and I am very happy that I chose Youngju. Ms Youngju is hands down the best Korean teacher I've ever had! Her method of teaching is great as she has an outline the student can follow and even assigns homework to help the student grow. She is awesome and goes the extra mile to help her students. Thank you Ms. Youngju! Wow! My first lesson was such an amazing experience! In just one lesson, I learned to understand the alphabet and letter structures. And! Youngju is soooo kind and knowledgable. I'm definitely looking forward to my next lesson! She is the best. Period. Youngju gave a great first lesson to my son. Even though he is on the younger side, he was able to learn so much in such a short amount of time. Youngju is fun, patient and a practical teacher. It excites me to practice and work with her during the classes. 안녕하세요? 프린세스예요. 선생님 영주 좋아요! Hi my name is pryncess. Ms Youngju is honestly the best thing that you could ask for in a teacher. She is very intimate and understanding. She's also very relaxed and caring. I promise you if you decide to choose her as your teacher she will not disappoint. As long as you're willing to practice and follow her as she teaches you will,see results. At this point Mrs youngju has become basically my Korean mom. She teaches me about culture and gives me chances to expirience more than just a language. During our one on one lessons she is personal and really tries to make sure you understand before she moves on. If you're not comfortable she will adjust in order to make it possible. You will fall in love with her teaching style! I know I did. Anyway I've written a lot and I would rewrite a lot more but there's no amount of words that can describe how amazing she is. I suppose you'll just have to find out for Yourself how amazing she is. Patient and kind. After struggling on my own to make progress, I appreciate the care and planning, Youngju puts into her lessons. Her encouragement makes me want to keep going! She's really patient about everything, her teaching was very helpful too. Fun and very nice teacher I really enjoyed the class and it was my first time too. I understood everything she was saying and it was great. The teacher is very nice and makes sure everyone understands before moving on and makes sure everyone is participating. Overall its a great class and a nice teacher. I would totally do it again. Fantastic teacher :) Very nice, polite and fun. Explains everything very well and interacts with you.Makes you feel very welcomed in class.Loved every single bit of it ! This was my first online Korean lesson and Youngju set a very warm and comfortable tone to the lesson. Her lesson was very helpful and organized and she set it at a good, quick pace that forced me to learn while still understanding all of the information. She asks and encourages students to practice speaking skills so she can help improve and correct pronunciations. She was very helpful and I look forward to more lessons with her! I'll admit I was a bit nervous to talk online with a stranger, but Youngju has a very easy going personality and makes learning Korean comfortable. She is very patient and will adjust the lessons to your speed. I really appreciate her pronunciation help. I learn a lot in just 45 minutes! Enjoyed my first lesson and looking forward to more of them! I really like her teaching style, she is patient and always looking for student input to improve the lesson, and help you get to where you want to be. I feel like I'm learning much more than I ever had alone or even while in Korea. I just completed my first group lessons with Youngju and it was lovely! She was super friendly and made the class fun. She also look time after the allocated 45 minutes to answer questions. Highly recommend trying a class! I just finished my first lesson with Youngju and she did not disappoint. Firstly, she is extremely prompt, with excellent communication skills and is super personable. Due to a work conflict I had to change our first lesson date and time, literally at the last minute. Youngju was very easy to get a hold of via text and email. She responded within the hour and was more than willing to accommodate my changing schedule. Today, I finally had my first lesson and walked away feeling more than satisfied. Youngju has a very easy going personality and relaxed teaching style. Due to her extensive background in education she is able to find and impart commonalities and helpful hints to aid in learning. She also provided background and a little history to our lesson, which I found extremely interesting and will definitely allow me to grasp and more easily remember the building blocks of the Korean language. The lesson was paced very well, not too slow or fast. Another highlight was the excitement and encouragement flowing from Youngju. You can see that she truly loves to teach and because of that I am extremely excited to learn Korean from her. I know I will not only walk away knowing a language but also understanding the culture better. I just had my first class. And luckily I came in with some knowledge about the alphabet already, so the class was easy to follow. She's very interactive and I love that she critiques so well. I will definitely be signing up for some more classes soon. I'm so happy that I signed up for Youngju's class. It was fun, comfortable, very interactive and easy to follow. I recommend her to anyone who is interested in learning Korean. She is very sweet and motivational. My first time for everything (Korean and lessons online), it was a great experience and she was great and made me feel really comfortable during the class. Korean is awesome and I'm looking forward to learn more from Youngju. I had a great first class. Youngju made the class easy to understand and I learned a lot in 45mins. I definitely will be taking more classes. My first lesson with Youngju I learned more than I did with weeks of self taught Korean lessons. Not only is she a wonderful teacher, but she is also extremely patient with me when I do not understand certain pronunciation. She is excellent at adapting to my learning style and is very encouraging during the entirety of the lesson. I am very thankful she had a time slot at worked perfectly with my schedule. I always look forward to our lessons each week. Youngju is very enthusiastic and truly enjoys teaching Korean. She is flexible to accommodate my learning style and requests. If I err she explains to me what's the error and corrects it with the right word or expression. I truly enjoy our lessons & interactions and happy I chose her to be my teacher. Youngju is great! She is very willing to share what she knows, and she makes each class fun for me. Her feedback is encouraging, and she is patient with each of my mistakes. Really love taking lessons with her! Youngju has been an excellent teacher. She has made sure I understand each topic completely before introducing more, she has adapted lessons to fit my learning style, she has tailored our lessons to help me meet the specific language goals I have for work, and she has been very accommodating to a sudden interruption in my schedule. Every lesson is interesting and fun, and I feel progress and accomplishment at the end of each one. Her classes are wonderful and very interactive. I enjoy looking at all the learning tools she sends over. I'm learning Korean much faster than if I had stuck with self study.Not only is she patient and honest about the mistakes I make but she also willing to work with me until I get the pronunciation right. She is a wonderful teacher and really fun. She makes learning the Korean language enjoyable. She is very nice and helpful. She is very eager and excited to teach the language and the culture. I am very excited to share this with her. Youngju is an excellent teacher for beginners! She takes the basics and morphs it into a way that is easy to grasp, making learning the language fun and efficient. I would definitely recommend her to anyone seeking to learn Korean at a beginner, intermediate, or advanced level. Her classes are absolutely wonderful. I'm learning Korean much faster than if I had stuck with self studying alone.Not only is she patient and honest about the mistakes I make but she also works at it until I get the pronunciation right. And believe me when I say that she's had her work cut out for her because I roll my r's and over-pronounce every syllable as, I'm sure, most Americans do. She is a wonderful teacher and really fun. She makes learning a language - which is more than a challenge - enjoyable. Hi, Youngju! Anna and I like your emoji :D Anna is going to stay on top of her homework this week. We will see you on Sunday, 3/20 and then skip Easter Sunday. We will see you for her 5th lesson on Sunday 4/3. I’ll be purchasing her next batch of lessons in a day or two. She’s loving it!! Thank YOU! Ms Youngju is my favorite teacher. I’m always satisfied with the lessons and I know that I learned a lot of Korean from her. She prepares every class very well and explains everything simply and clearly. What I like the most about her teaching is that she uses a verity of props and makes class fun and easy to understand. I think that I’m developing Korean faster than I thought because she uses Korean repeatedly when she teaches. I’m really encouraged to learn Korean more than before because she introduces Korean culture from time to time and I would like to visit Korea one day. It was a wonderful experience, learning from her. She explains things very well and makes things easy to understand. She is very thorough. She makes sure you understand one thing before moving on to the next. I found this very helpful when it came to pronunciation of the letters and syllables of Hangul. Before I began studying with Youngju, I already knew the basics of Hangul--how they were written, how they sounded, etc.--but it is very helpful to have a native speaker/tutor there to help you improve your understanding. I like her style of teaching--it's very fun and simple. She gives you props when you get things right and helps you out if you find some things difficult. Youngju is a very good instructor. I look forward to studying more with her! She was very good at finding my level of Korean and adjusting the lesson accordingly. She's absolutely wonderful. I've found that im rather dense when it comes to learning new languages but she was so patient. In one class, I learned how I was pronouncing things incorrectly. I've learned so much just from this short time. Ten out of ten. My daughter was enthralled. She finished her lesson eager for her next session. Thank you Youngju! Youngju is a fantastic teacher. Her style of teaching makes it easy to understand and grasp Korean. She is understanding of the difficulty of taking on a new language and works with you no matter whatever level you may be on. I currently take lessons with Youngju and will continue to do so. I am thankful for her dedication to teaching. I have worked with Youngju at Kodaikanal International School in India. Saying in a word, she is a wonderful teacher. Not only qualified by teaching as a teacher, but also she has been challenging learning new things as a life-long learner. And she is a person with great personality. Very patient, caring and thoughtful. As a Korean language teacher, I am sure you can enjoy learning Korean with her. You could also get a lot of help from her for learning new language as a second language learner. Best of luck to all of learners! I have taken several classes with Ms. Yongju so I can say with experience that she is an excellent teacher. She truly understands the learning process and therefore knows how to impart knowledge that is comprehensible to her students. She thoroughly prepares for each class and makes sure you know the material before forward. I have taken other language courses before, but I would say that this one-on-one focus with Ms. Yongju, my learning seems to be accelerated. I look forward to my classes. Lee Youngju taught at Jochiwon Daedong Elementary School for four years as a homeroom teacher and an English specialist. She was very dedicated and devoted to her many teachings and administrative duties as well as to her students. I have observed that Teacher Lee is a responsible and passionate teacher who has broad experience and knowledge; however, notwithstanding these qualifications, she has an open mind and observes the rules of social etiquette. I recommend Ms. Lee in the confidence that she will be a superior teacher in your school. I know that she will bring her exceptional creativity and organization to any school she teaches in. It gives me great pleasure to write this recommendation on behalf of Youngju Lee. Youngju has taught Korean language and Arts at Kodaikanal International School since July 2009. Kodaikanal International School is an international school located in Tamil nadu India in South India since 1901, making it one of the oldest schools in the country. It was originally a school for American missionaries. It has been an international school since 1974 and currently has a student body representing some 30 nationalities drawn primarily from within India but also in lesser numbers from various geographical regions that include countries located in Asia, Australia, Europe, and the Americas. KIS has also been a preferred choice of families of Indian origin settled abroad when they have wanted their children to have exposure to India and Indian culture because of its multicultural approach and the diversity of the staff and student body. Youngju is an excellent teacher and I have enormous respect for her work in the classroom. She works well with students, is positive influence with the students and is able to encourage them to achieve their best. She uses a variety of approaches in her classes from group and individual work. She establishes a good relationship with her students, explains things carefully, prepares well and has a very effective yet relaxed delivery style. She has a positive rapport with her students and they demonstrate mutual respect and they enjoy learning. Students feel well supported in her class and enjoy her classes. She also cares for her students outside of the classroom and follows up on any concerns she or others may have of an individual. Youngju has played an active role in extracurricular activities through her participation as chaperone on field trips, organizing events and student activities. Youngju and her husband Stephen have settled well into the broader community in Kodaikanal and enjoy their life here with their family very much. In conclusion, I believe Youngju would make a good contribution to any school community. Please do not hesitate to contact me for more information about Youngju Lee. I recommend her wholeheartedly as an exceptional teacher and wish her well. If more job specific information is required please contact me on principal@kis.in or on my mobile #----------. I knew Youngju more in her role as art teacher at KIS, as I was teaching art to 9 and 10th grade in the MYP program while she worked with the younger grades, so we often exchanged notes, advice and ideas on art and assessment. She was creative and had a real bent for sharing crafts in creative ways with her students. I'm sure she takes the same creativity and patience into her Korean lessons. The students loved working with her in both art and Korean classes, where she was teaching our Korean students so that they would develop their mother tongue appropriately. Youngju is an amazing teacher. She is patient, helpful and understanding. If you are looking for someone who can help you improve no matter what level of Korean you are on...she is the one. I have worked with her at the same school in South Korea. We shared a office, I could see and learn how she was working. When she was working, She always tried to understand students level, their mind. She tried to find a better way to teach and students learn easily. She encourage students, so they can have confidence about what they learned. I want to work with her again, and learn from her more! I have worked with Youngju before, and I can't express enough how wonderful it was to have a co-worker such as her. We worked together at a school in South Korea; since my native language is English I always needed help learning how to say different phrases in Korean. She is a very thoughtful, considerate , and experienced teacher. I would highly recommend learning Korean with her! Had a great time during my first lesson! I am an intermediate student who really needed a teacher who knows her stuff! She was adept at answering my many questions. I look forward to continue working with her!